A new #TCTheater company is debuting a new play by a first time playwright in a new St. Paul theater space that just opened this summer. What's more exciting than that?! 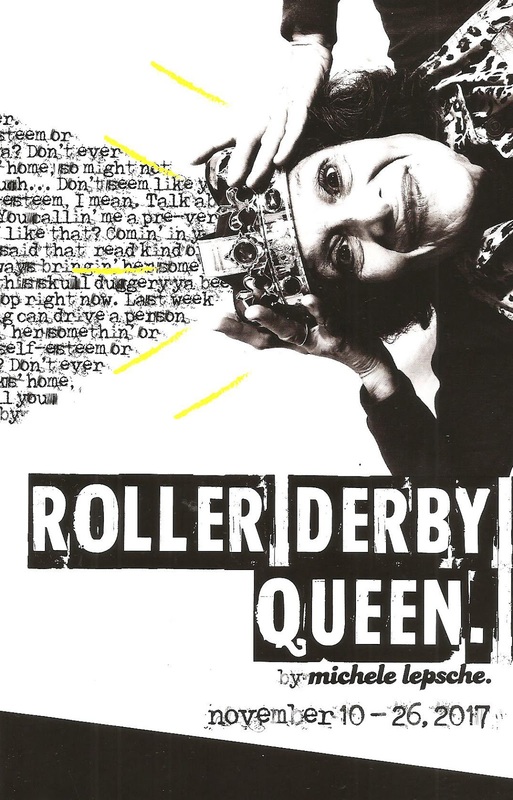 The good news is that Roller Derby Queen is a great play - smart, funny, and well-written, with quirky but real characters played by a dreamy cast, clearly directed in this intimate space. I'm not entirely sure what SOS Theater is about yet, but based on the first offering of this "new production company dedicated to producing evocative works that present fresh and entertaining perspectives of this ludicrous thing called life," I'm intrigued, and hope to see more. Remarkably, this is the first play by local writer Michele Lepsche. In a note in the playbill she writes that the main character, Florence, chose her to tell her story, and haunted her until it was done. And Florence is quite a character. 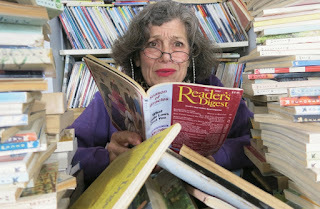 A hoarder and mother of two grown daughters, Mary Ellen and Mary Elizabeth, she does things her own way and doesn't want to change. Ellen is the responsible one, with a good job and a daughter of her own, and since she pays the bills on the house, she wants her mother to get rid of all her stuff, sell the house, and move into an apartment. Sweet Lizzie would like to move in with her boyfriend Abe, but is afraid of disturbing the status quo. Secrets about Florence's past comes out, a housing solution is found, but the play is really a character study of this family that loves and supports each other, even if they don't like each other very much sometimes. They really couldn't have found a better cast than this fabulous fivesome, each a gifted comedic actor perfectly suited to their character, but also capable of drawing out the pathos. Nancy Marvy just is Florence, exasperating and loveable all at once. Sara Marsh brings quirky Lizzie alive with such heart and humor. Carolyn Pool is great as the straight man in this wacky family, who hides her love for them under pragmatism. Andy Rocco Kraft is adorably charming as Abe, and I only wish we got to see more of him. 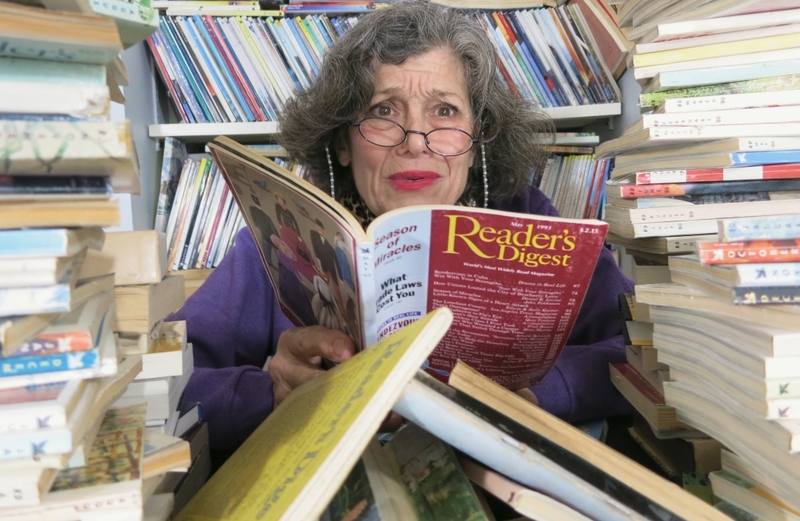 Last but not least, Raye Birk just cracked me up as Florence's Vietnam vet friend Scotty G, who indulges her hoarding tendencies. Director Matt Sciple keeps the dark comedy coming, but also knows how to draw out the tender moments. Roller Derby Queen (the title will become clear, but no spoilers here) is a highly entertaining and at times poignant dark comedy that really digs into these messy family dynamics. And really, what family's dynamics aren't messy? In that way it's a perfect lead-in to the busy holiday season with all its awkward family dinners. Roller Derby Queen continues through November 26.